Reading and Writing Redhead: Spring Fraction Freebie! Hi everyone! A quick hello today to bring you a short freebie. 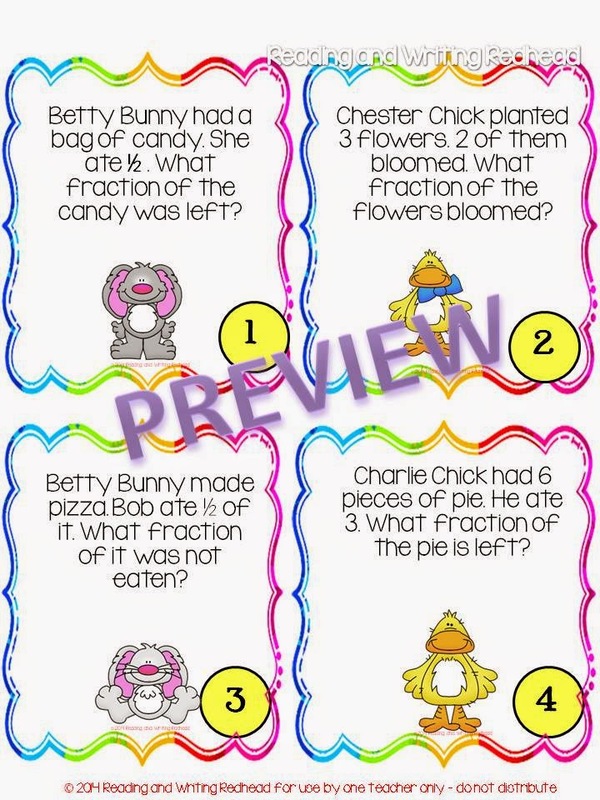 Are your kiddos working on basic fractions? Are you thrilled it is finally spring? 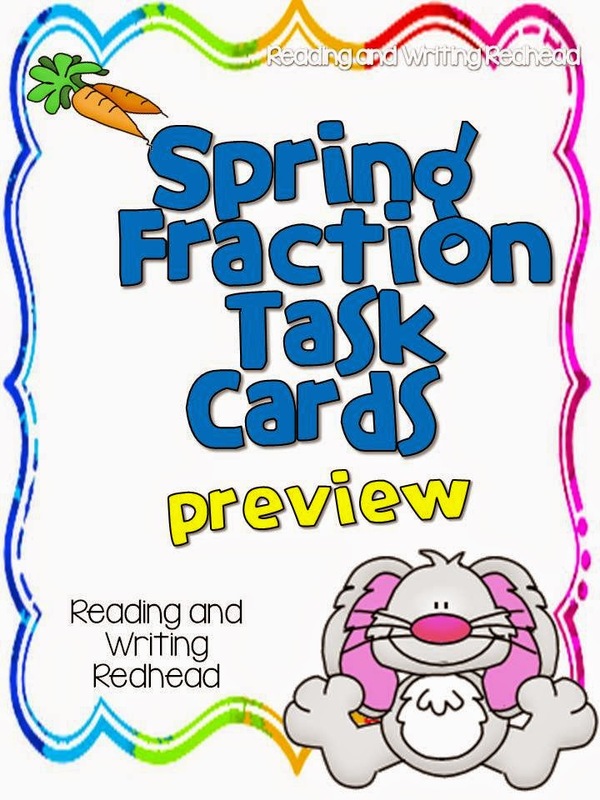 Well, I combined the two to make a Spring Fraction Task Card Set and I am bringing you a sample of it today - it would be great for a small group or a quick review when kids are done with other work. Click on any of the images below to get it from google drive. Enjoy! I also linked up with Classroom Freebies for their Manic Monday Linky so on Monday be sure to hop over there and see what other freebies you can snag. Do so by clicking their button below. What fun! I love these :) Thanks so much for sharing! Thanks Laura! I appreciate you stopped by! I always love your stuff so I am thrilled I had something you could use. Your fraction task cards look great! Such a good idea! Thanks for sharing! Also I saw your post on the TpT forum about donating to your giveaway but I was too late! I would love to join in another time if you have another one! Thanks for thinking of me next time! Andrea, thanks! I sent you an e-mail (hope it went through)!